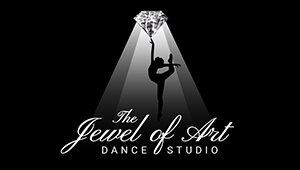 Thank you for your interest in registering your next dance class at The Jewel of Art Dance Studio. We are looking forward to meeting you and help you discover the areas in dance your most passionate about. Below are the classes currently offered at The Jewel of Art Dance Studio. Please be aware of any prerequisites for any of the advanced classes. I hereby release The Jewel of Art Dance Studio and Jackleen Rios, its owners, instructors, assistants, student and parent volunteers from any and all liability including loss, damage, or injury including death, that may be sustained by the participant while upon the premises or any premises under the control and supervision of The Jewel of Art Dance Studio. Resulting from my son's/daughter's participation in any and all classes, practices, performances, trips, camps, competitions, parades and any activity or event related for the The Jewel of Art Dance Studio. I fully understand the risks involved in the dance and/or activities my son/daughter is registered for, and I accept such, unconditionally, and take full responsibility for any and all accidents and/or injuries, which may occur as a result of her/him participation at The Jewel of Art Dance Studio. I also understand that this signed release of liability is effective and ongoing as long as my son/daughter is registered for classes at The Jewel of Art Dance Studio; continues in his/her participation; and/ or returns to classes after a leave of absence resulting from illness, temporary withdrawal, personal reasons, failure to pay tuition, and/or any reason causing interruption of participation. As the legal parent or guardian, I grant permission for the use of my child's image in dance class or on stage for The Jewel of Art Dance Studio promotional videos and pictures to include, but not limited to brochures, posters, social media and promotional videos for display, distribution, publication, and/or transmission. I hereby release The Jewel of Art Dance Studio, Jackleen Rios and its owners from any and all liability including loss, damage, or injury including death, that may be sustained by instructing upon the premises or any premises under the control and supervision of The Jewel of Art Dance Studio. I understand The Jewel of Art Dance Studio is not responsible for my personal belongings and equipment. I agree to attend dance class on a regularly basis and wear the correct attire for each class. I agree to adhere to the teacher policies and regulations regarding class activities. I agree to show up on time and if late not to disrupt the teacher. I agree to let staff or owners know in advanced if unable to attend class or a major functions. Payment of tuition, fees, costuming ,recital or any other payment associated with the Jewel of Art Dance company should be paid on time. Any payment that is late will result in a $35.00 late fee. If total payment is not paid including late fee it may result in a dismissal from the company. I understand that I must have any form of payment paid on or before the due date to avoid any late fees or dismissal from the Jewel of Art Dance company. I understand a convenience fee of 3% will be charged for all credit card transactions. As well as any credit card that has been declined. I also understand that cash or money orders are at no additional charge however, will only be allowed a 3 day grace period for this form of payment. If payment is not submitted there will be a $35.00 late fee.